The administrator of Prince's estate has been granted permission to offload a number of the late star's real estate. 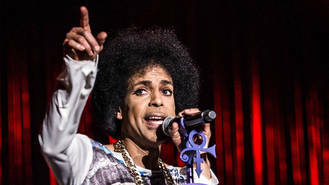 The Purple Rain icon did not leave a will when he died in April (16), after suffering a drug overdose at his Paisley Park home near Minneapolis, Minnesota, and the administrator at Bremer Trust recently asked a judge to put various properties on the market. Prince's famous Paisley Park compound, which also includes a recording studio, will not be part of the sale, but other pads near his hometown of Chanhassen are. A court filing had reportedly included a list of nearly 20 places which could be sold, and on Thursday (11Jul16), Judge Kevin Eide allowed the administrator to list six properties this month (Aug16). However, they will have to seek another affidavit before they can put the other buildings on the market, according to Access Hollywood. Meanwhile, tickets are reportedly due to go on sale soon for the first official event in honour of the music legend. Prince's siblings have organised the tribute celebration at the U.S. Bank Stadium in Minneapolis on 13 October (16). A statement from the family reads: "We have been moved by the tremendous love and support of Prince's friends and fans around the world. We are excited for the opportunity to bring everyone together for the official family celebration of Prince's life, music and legacy, and there is no better place to do it than his hometown of Minneapolis. "We are honoured by the artists who will pay tribute and grateful to those that have worked so hard to make this celebration possible." Performers for the concert have yet to be announced. Katy Perry is ready to regain her status as the “biggest thing” in pop music. Lisa Marie Presley has checked into a rehabilitation centre to tackle a prescription pill addiction, according to multiple reports. Jamie T's five-year absence from the music business was caused by his anxiety going "through the roof". Frank Carter wants a "room full of butterflies" on his next tour rider. Adele is devastated she's had to give up eating pizza to protect her voice. Kesha has been reunited with her custom jacket following an Instagram appeal to track it down. Rihanna will be saluted with the coveted Michael Jackson Video Vanguard Award at the 2016 MTV Video Music Awards. Stormzy surprised his biggest fans with a secret set in London on Wednesday (10.08.16). Celine Dion’s son Rene-Charles couldn’t believe Sia wrote a song for her.